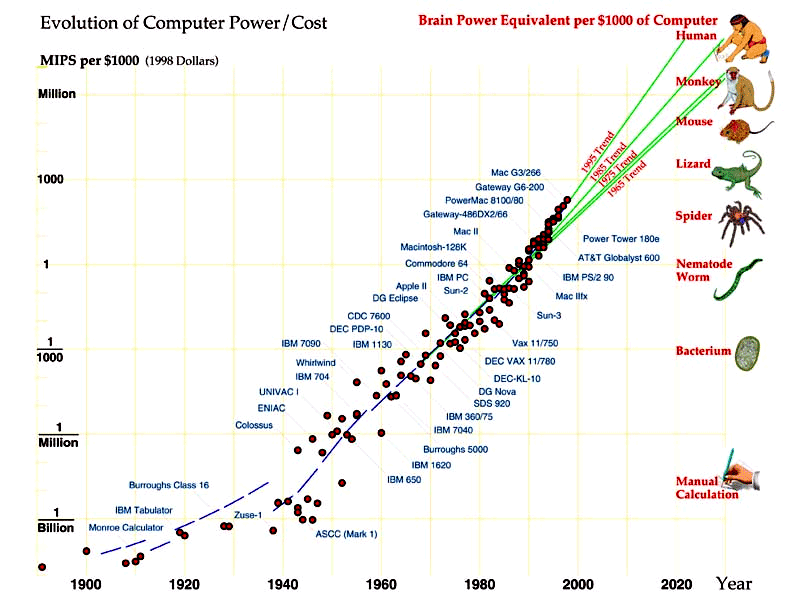 Futurist Ray Kurzweil has explored some of the counterintuitive implications of the exponential growth in computer power in The Singularity Is Near (2005). Kurzweil's analysis can be extended to the challenge of securing the well-being of all sentience. If the molecular signature of all unpleasant experience can be identified, then the computational challenge of eradicating suffering throughout the living world could in theory be tractable within decades rather than millennia. However, the ideological obstacles to a cruelty-free world are more formidable than the technical obstacles. A world without suffering is probably centuries away at best.